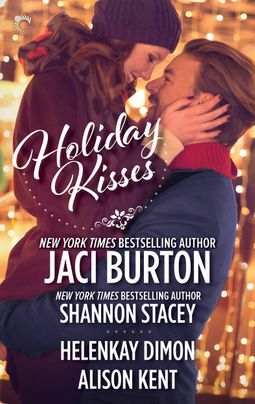 Love is the spirit of the season in this exclusive holiday novella box set! With a disastrous marriage behind him, Wyatt Kent has no interest in getting involved with any woman, let alone his ex-wife’s younger sister. But when Calliope Andrews hires him to build an addition onto her day care center, it’s not long before they’re keeping each other warm on cold December nights. Carrie Anders officially broke up with Austin Thomas when she accepted a dream job in the city. Unofficially, she misses him and is tempted to sneak back to her West Virginia hometown to see him. Austin’s been waiting for Carrie to realize she can’t live without him. But when he hears she’s not coming home for Christmas, he decides to take action. If Carrie won’t come to the country, he’s going to bring a piece of the country to Carrie—in the form of a Christmas tree lot just minutes from her apartment. Their attraction is as hot as ever, but with such contrary Christmas wishes, can either of them get what they really want this year?